G Suite™ is one of the most popular productivity solutions for business users. Originally going by the name Google Apps, it arrived on the scene roughly a decade ago. 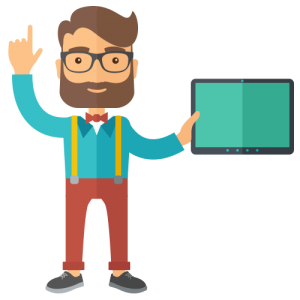 It was brought on as a way to eliminate on-prem software such as Microsoft Exchange®, Office®, and Windows File Server. Now, with over five million businesses and millions of individual users, G Suite is a core business application. With the G Suite email functioning as a lynchpin for a user’s online IT resources, admins are highly interested in ensuring that their users’ G Suite accounts stay safe and secure. 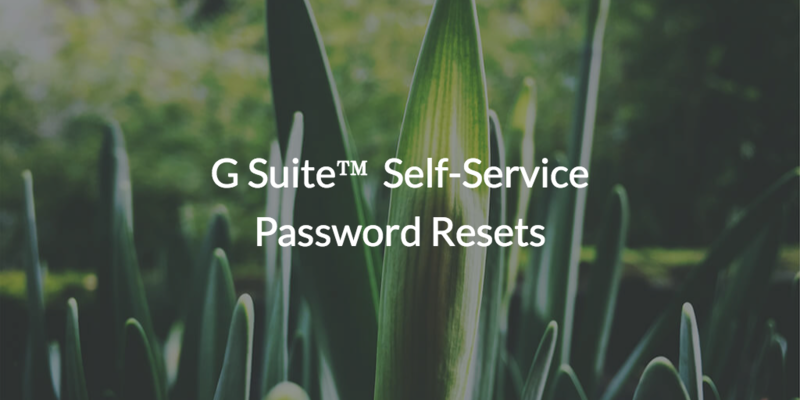 Today, we’re going to talk about how G Suite self-service password resets are done, and how to maintain password security. We know that G Suite password resets are critical to security, but why? Well, this is exactly how hackers have been stealing identities for a long time now. They have figured out how to trick unsuspecting users with a well disguised email into entering their credentials on a site that looks like G Suite, but really isn’t. The site may look alarmingly similar to G Suite, but comes with a few seemingly undetectable differences; such as a slightly different address, for example. For users not attuned to these minute differences, the G Suite self-service password reset may result in stolen credentials. These dupes are called phishing attacks, and while most users are already aware of them, they are still extraordinarily successful. As IT admins and end users get more savvy, the hackers’ techniques get better. Google reported in the span of March, 2016 – March, 2017 they identified approximately 12.4 million potential victims of phishing attacks. This cat and mouse game can be deadly for IT organizations. IT admins have been warning users, training them with tools that simulate attacks, purchasing anti-malware and email security solutions, and doing the best they can to thwart this attack vector. All of these are a great start to protecting an organization against the threat of compromised credentials, but unfortunately they aren’t enough. ← Are DevOps and DevSecOps Headed in Opposite Directions?